E.T. wasn't the only thing excavators found in the Atari landfill this weekend. 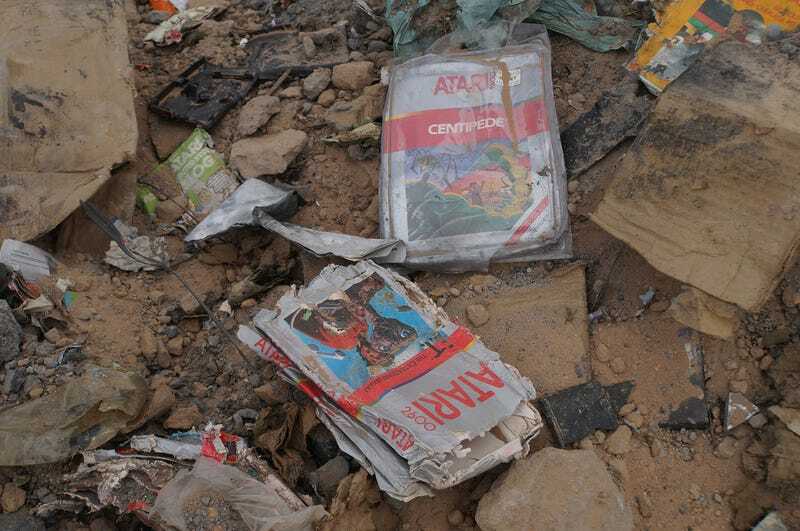 Though the legend was always that Atari buried millions of copies of that critically-panned game, the historical garbage dump is actually filled with all sorts of Atari games and products. And while digging in Alamogordo, New Mexico over the weekend, a construction crew uncovered tons of hardware and games ranging from Defender to Missile Command.